If you were to ask me what my favourite zine of Dublin Zine Fair this year was, I would be hard-pressed to answer. It could be either Rachel Ang’s stunning perzine The Craft, or Cal Folger Day’s Domestic Labor Manual - a chapbook about cleaning houses in New York. If I'm honest, however, I think my favourite was a zine called FUK U. It contains 24 images of Bono with the words FUK U. It’s a mini-masterpiece. The fifth annual Dublin Zine Fair took place in the Chocolate Factory, Dublin, over the weekend of August 15th and 16th. It was originally set up by the artist Sarah Bracken as a means to celebrate, support, and promote independent publishing. Without a doubt, it’s one of the most unique events in the Irish publishing calendar. Zines are independent, self-published magaZINEs, created out of desire for self-expression rather than profit. They’re passionate, delicate, and intimate, borne out of their creator’s curiosities, and alive with a Do-It-Yourself spirit. As zine librarians for Ireland’s only dedicated independent zine archive (the Forgotten Zine Archive), fellow librarian Tom Maher and I were asked to help organise the fair for the second year running (for a more detailed description of zine librarianship, click here). This year’s Dublin Zine Fair was the best attended yet, with over 40 self-publishers selling and trading their work. The variety of high quality alternative publications on display was astounding – independent comix, artist books, chapbooks, and zines could be found on every table. There were zines about theremins, photography zines of punk gigs, and even a comic about a talking rock. Anyone who feels that print is dead hasn’t checked with the zine community. The whole Forgotten Zine Archive (comprised of over 2000 zines) was on display throughout the fair, as we ran a pop-up archive for the third time this year. It’s always fascinating to see an archive in operation outside the more traditional library/museum spaces, allowing people to delve in, rifle through it, and get lost in its contents. To see the interest and respect people showed for the collection was quite heartening. I’m always a little apprehensive of zines getting damaged or stolen at pop-ups. As zines are items of ephemera, and often more or less unique, if any were taken, it might be impossible to replace them. But none were, and I can’t wait to showcase them again! I love how empowering creating a zine is. One of the main messages of the fair is that anyone can make a zine, and people from all over the world are welcome to showcase their work. At this year’s event, we had zinesters from as far afield as Malaysia, Australia, and New Zealand. Everyone is encouraged to self-publish, regardless of their artistic or literary level. Each zinester manages every aspect of their creation; they write, edit, publish, and distribute every zine. In a world of internet trolling and cyberbullying, these kinds of positive messages are invaluable and should be available to everyone. It was great to see support for the event from NIVAL (National Irish Visual Arts Library), who were there purchasing material for their collection. The librarians at Limerick School of Art and Design have also been at fairs, and have even run their own event, the Limerick International Publishers Salon (LIPS). Further interest in the Dublin Zine Fair from the wider library community would be more than welcome, as it is vital that libraries seek out and support alternative publications. Libraries typically purchase their materials from a narrow list of corporate vendors. As vendors conglomerate and collections homogenise, the need for alternative voices grows ever stronger. Vendors may not always cover unpopular and underrepresented viewpoints, or house unusual formats, as there is less commercial value in doing so. As a result of this, it is becoming increasingly difficult for librarians (and therefore library patrons) to be aware of the wealth of independent, local, or alternative publications available. Librarians must actively search for them. During the fair, we ran various workshops on weaving, needle felting, bookbinding, and creating zines and comics. I was struck by how easily these workshops could be adopted by libraries. 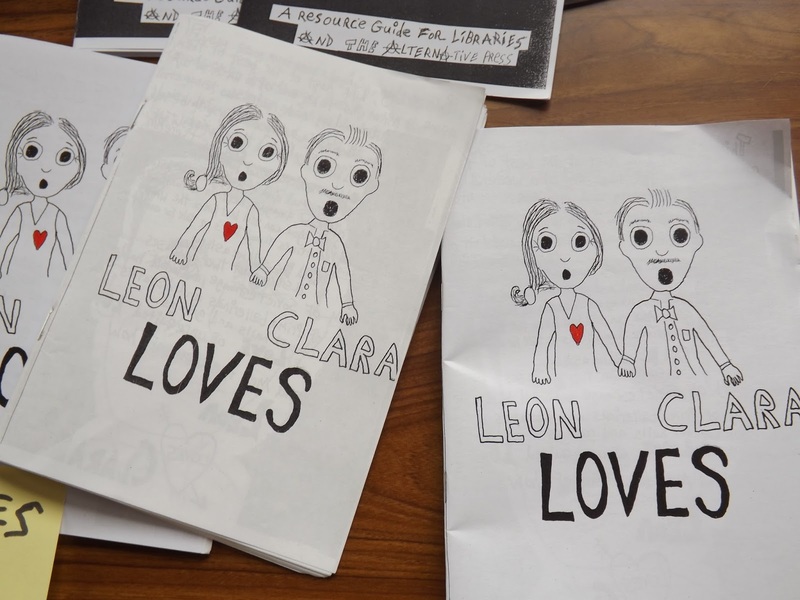 Zines have been used successfully in many libraries as teaching tools, for people from Montessori school age to adults. 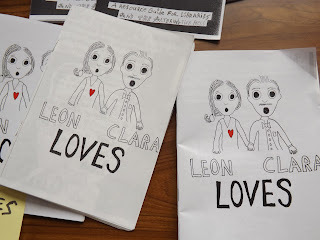 Teaching with zines demonstrates the wealth of alternative information sources available. These lesson plans on Barnard College's website are an example of how teaching using zines could benefit a student’s information literacy. Zine-making workshops are fun, easy to run, and can be of particular benefit to those who learn visually, or kinaesthetic learners. The zine community and the library community currently exist as separate entities in Ireland. Libraries are starting to become more aware of zines, but tend to be slow to begin creating their own zine collections. Events like the Dublin Zine Fair highlight how both communities can benefit from one another, and perhaps will be the first steps towards creating an open dialogue between the two.